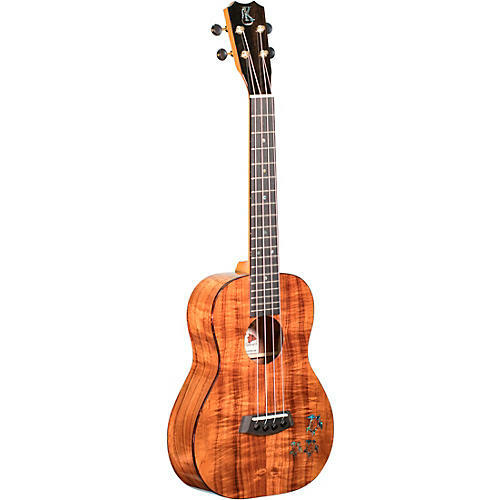 This Kanile`a Honu Premium Tenor ukelele pays homage to the beautiful ocean that surrounds our island home of Hawaii. For those who love Hawaii, the water and the beautiful blue planet, this instrument is for you. Three playful honu (turtles) are captured in the colors of the sea found in New Zealand paua abalone. Watch them swim through the beautiful curl of premium Hawaiian koa. The Kanile'a Hony Premium Tenor ukulele comes in a canvas semi-hardshell case.